We’re only half way through June, and it’s shaping up to be another great month! Honestly, this year is off the scale so far! This whole year I’ve committed to say “YES!” to things that scare the pants off me but means I can be helping more people uncover their unique brilliance so they can express it through a business that’s aligned with their purpose and their hearts. When you stay focused on where you want to get to, opportunities open up like you’d never imagine. I got asked to be on TV! On 3rd June I took part as a member of the panel on The Pauline Long Show, live on Sky TV, to help promote ‘The Extraordinary Lady Speaks’ event being held on July 12th where I’m one of the Keynote speakers. I have to tell you, I was bricking it! I’d not heard of the show, but then I don’t have a TV, but when I mentioned it to a few people before I did it, they hadn’t heard of it either, so I calmed the rising panic by telling myself that it was probably a very small show that hardly anyone watched and it would be just like having a chat with three lovely women round a table! A convenient reframe! But… a couple of minutes before we went live Pauline happened to mention us going live to five million viewers! GULP… too late! No time to worry!!! I’m sure it went ok, even though I haven’t seen a recording yet. I think I might have been a bit fidgety in my seat, and forgot to look at the camera rather than Pauline Long who was asking the questions, so you would have got a nice view of the side of my head when I was talking, as well as a bit of a wobble when my heel slipped off the high stool I was sitting on! But it was all for a brilliant cause and the energy the four of us created in that hour was electric! It’s because of this conference and the ethos behind it that makes it so incredible. The Extraordinary Lady Speaks conference is an annual event that has been created and personally funded by one wonderful, huge-hearted woman, Sandra Nelson, who declined to receive personal credit by appearing on the TV show because she wanted us get more exposure rather than make it about her. Sandra has a vision to provide a speaking platform for inspiring women to share their stories, with the intention of planting the seed of hope and encouragement in every woman there to reach for their dreams and believe in themselves. 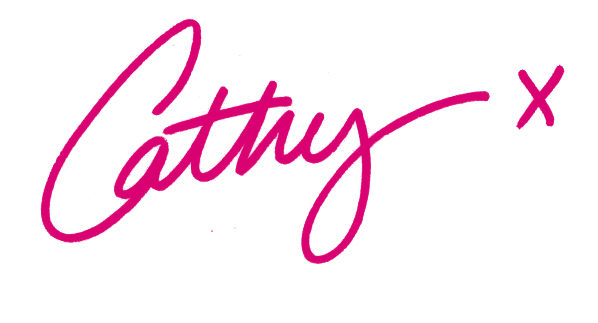 Being in this container of love and inspiration will be transformational! There is a line up of 20 inspirational speakers, and it’s not a sales-fest! There’s no up-sell or organisation to join, just charities you can give your support to if you choose. If you want to find out more about the work each speaker does you can talk to them at their stand in the intervals. 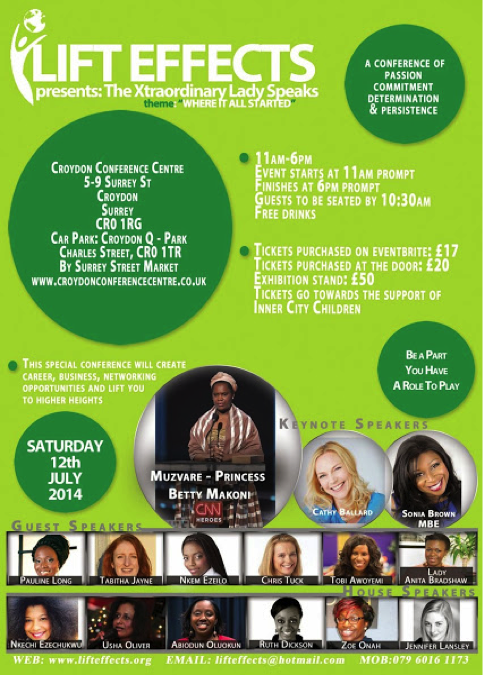 The conference will be held on the 12th of July 2014 at Croydon Conference Centre from 11am to 6pm. I’ll be speaking at 1.55pm and I’d love it if you’d come and join me! Familiar faces in the audience are bound to help with my nerves! This is the biggest, most hairy, scary thing to take on this year – so much more scary than being on TV, but the cause is so close to my heart, and that’s what matters! So if you’d like to join us it will be a great day to hear some inspirational speakers, as well as an opportunity to network with like-hearted women. Click here to book your ticket either to attend or to exhibit your business. And if this resonates with you please share it. I’d love to help this conference really get on the map as a regular national event because it’s such a fantastic cause.